One of the big stories in Brussels recently has been to do with an unlikely Xmas tree controversy. 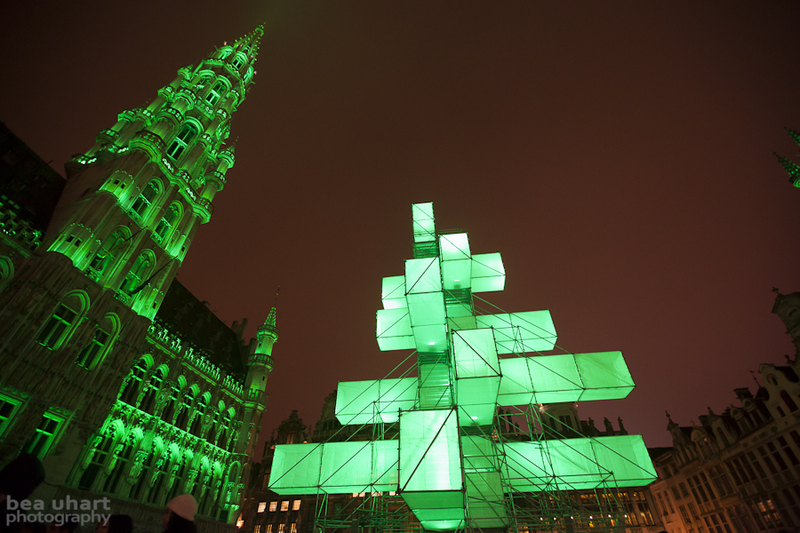 This year, the Brussels council decided to replace the traditional 10m high pine tree with a minimalist light box sculpture that visitors can climb (proceeds go to the local fire department). Cue outrage - a petition attempting to have the 'tree' hacked down has collected 12,000 signatures and counting ... arguments against the sculpture range from the expected (not traditional enough) to the far fetched (phoney attempt at secularism). I actually think it's fairly impressive and the light show, a play between the tree and the town hall, is really quite beautiful.